Â Itâ€™s refreshing for me to show up with one assistant and my wife Sherryl who acts as coordinator, model, and art director to shoot fun and off the cuff imagery. We utilized my daughter and a few ofÂ her friends as models for trade as well! Iâ€™m very fortunate to have my wife Sherryl work with me in so many aspects of our business and my daughter Alex, who is in the catering business and has a beautiful group of friends that love an impromptu cocktail party modeling.Â I have a couple of great assistants that are willing to trade work for food too! 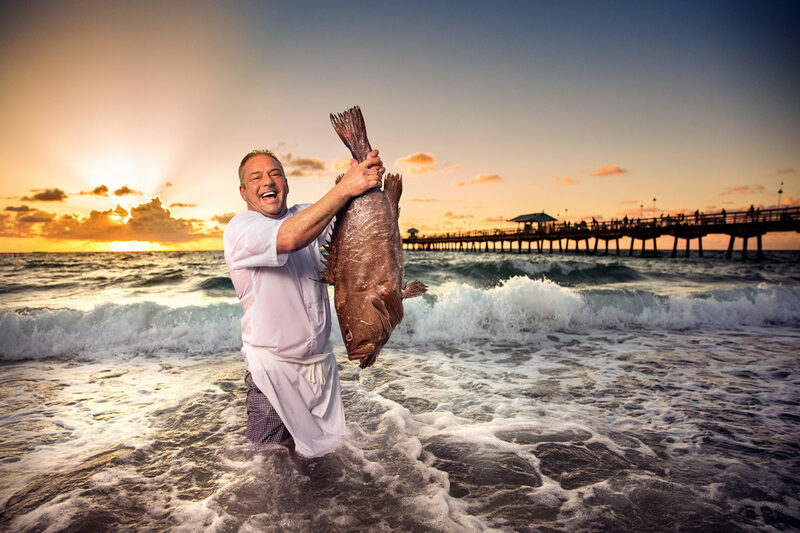 And if youâ€™re in Ft. Lauderdale, make sure you stop by Kitchenetta and Vinnieâ€™s by the Sea. Tell them George sent you! The post My friend Vinny appeared first on GEORGE KAMPER.